Last week, we went strawberry picking as a family. I could have been easily dissuaded - it was hot and humid - but my boys were determined. And we had such a great time! We picked 14 pounds in about 30-45 minutes. Our youngest (21 months) spent his time sneaking as many strawberries as he could; the other two picked a few but mostly enjoyed taking in all the sights and sounds of the strawberry farm. The fragrant berries were plentiful and the picking was easy. So, we have been eating strawberries for a week and enjoying them so much - the boys cannot get enough. We've had them alone, in salads, with dessert, and in strawberry lemonade. Delicious! I'm a June birthday and have always loved the fact that I was born in strawberry season - I often celebrate with a strawberry dessert of some kind! Every once in awhile I like to offer great shortcuts. So I want to recommend the vanilla bean cake mix that Trader Joe's sells (it's around $3 and totally worth it!). It is a.m.a.z.i.n.g. 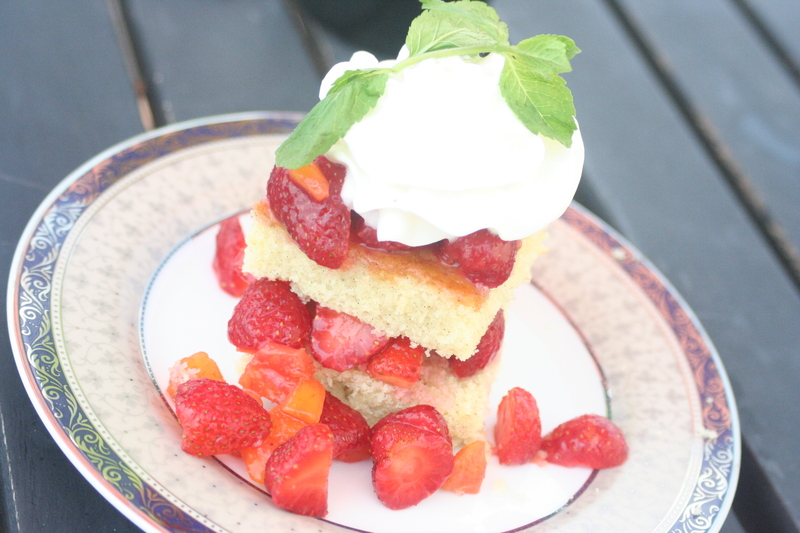 We recently had it for dessert stacked with sliced, fresh strawberries and peaches and whipped cream. It was absolutely wonderful and was easy to put together for an impressive dessert. In other news, we've slowly been working on getting everything planted in our garden. I'm always excited about the different varieties of wonderful vegetables. Our arugula is coming up and I'm looking forward to finding great new recipes for it! And finally, we made steaks on the grill and they were excellent! We grilled them with a mixture of salt, pepper, and garlic powder and a little bit of Worcestershire sauce. 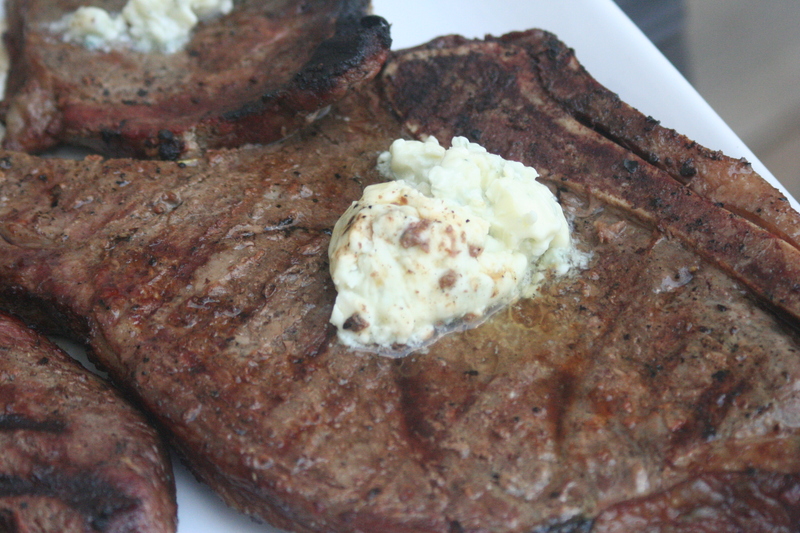 I made a blue cheese butter by combining 1 stick of softened butter with 1/2 c. blue cheese - it topped 5 large steaks that fed 11 people. It added delicious flavor to the simply treated steaks. Definitely give it a try!